Found 2 file extension associations related to Adobe Dimensions and 2 file formats developed specifically for use with Adobe Dimensions. Adobe has discontinued the sale and development of Adobe Dimensions software. Some of the functionality available in Adobe Dimensions 3.0 has already been implemented in Adobe Illustrator CS software as a Live Effect feature. 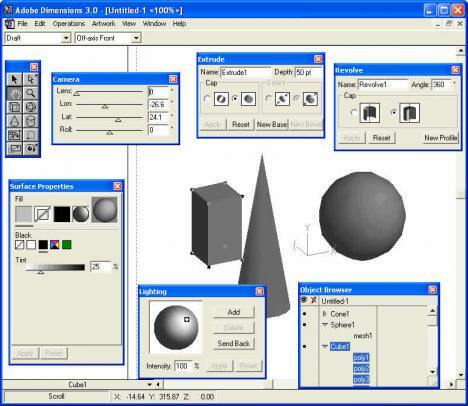 The Adobe Dimensions software seems to be old or discontinued. If you need more information please contact the developers of Adobe Dimensions (Adobe Systems Incorporated), or check out their product website.